South Korea, China and Japan agreed Saturday to tighten border control in the latest efforts to ensure that recent outbreaks of a deadly pig virus in China will not spread to the Korean Peninsula. 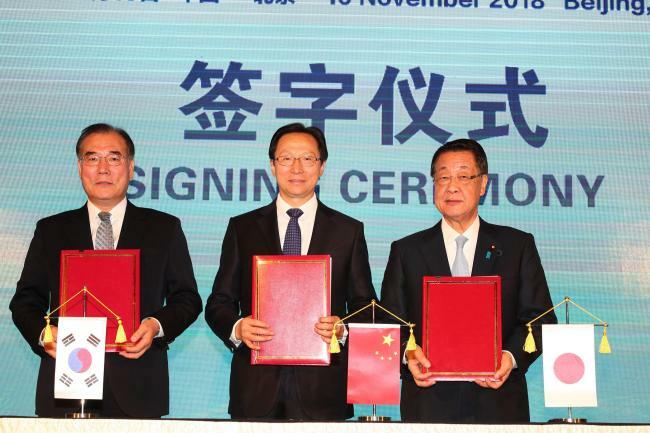 The agreement was reached in a meeting among South Korea‘s agricultural minister Lee Gae-ho and his Chinese and Japanese counterparts in Beijing earlier in the day. The three also vowed to strengthen efforts on the sharing of animal health information; the surveillance, reporting and epidemiological investigation of diseases; and collaborative research on transboundary animal diseases such as avian influenza, foot-and-mouth disease and African swine fever.